Seyfarth’s Immigration Compliance and Enforcement team members are highly regarded subject matter experts who provide top-tier compliance and enforcement services to employers of all sizes. Our knowledgeable team helps guide clients seeking to proactively align their workforce strategies to comply with the changing regulations in documenting their employees appropriately, as well as those reacting to enforcement and compliance activities by multiple federal government agencies. Through direct agency contacts, relationships on Capitol Hill, and extensive leadership in immigration law and workforce mobility organizations, we monitor and evaluate immigration policy and enforcement developments on an hour-to-hour basis. We counsel clients on best practices to hire and retain a global workforce in full compliance with relevant immigration laws and to provide clients with creative guidance that addresses the impact of immigration-related worksite enforcement developments. The attorneys in Seyfarth’s Immigration and Compliance Enforcement team offer a full suite of legal service to companies seeking conduct employment verification processes in a manner that ensures full compliance with applicable laws and policies, while helping ensure that such processes fit within a company’s budget and business processes. Once we understand a client’s compliance-related risk areas, we can redesign its policies, processes, and training programs to minimize legal exposure without interrupting business operations. This includes employment-verification policy development and Lean Six Sigma process mapping to recommend I-9 best practices on document retention, electronic employment verification, form storage, and remote hire scenarios, among others. 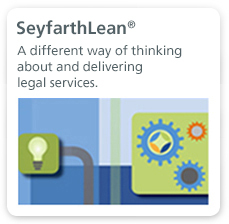 Seyfarth can guide clients on issues they should consider such as E-Verify vendor selection, employee training, and detection and prevention of E-Verify misuse and non-compliance. We also can create customized and engaging training programs and mock interviews that model best practices for E-Verify compliance and Tentative Non-Confirmation letters. Our advice is practical and tailored. Our ability to evaluate the many standalone and modular electronic I-9 systems, identify comparative advantages and deficiencies, and provide real time feedback has substantially enhanced compliance and minimized exposure for our clients. We assist companies that contract with federal and state governments in establishing appropriate policies and guidelines and in managing relationships with contractors, subcontractors and vendors. We are also highly experienced in the immigration issues arising under the Federal Acquisition Regulations, including mandatory E-Verify enrollment for certain federal contracts and debarment risks for federal contractors. We offer customized off-site and worksite compliance reviews in order to provide a detailed audit report. Reports contain action items, a tailored remediation guide, and a high-level immigration compliance “report card.” We also develop I-9, E-Verify and immigration-benefits training programs based on specific audit findings. We regularly defend companies involved in investigations by the Department of Justice Immigrant and Employee Rights Office within the Civil Rights Division. Our services cover an array of topics such as whistleblower protections, the badging of vendor personnel, the use of U.S.-citizen only policies, employer requests for documents to confirm compliance with the export control laws, and permissible inquiries related to immigration status and sponsorship during recruitment, hiring, and onboarding. As federal policies and compliance activities tighten, companies hiring employees on work visas need to take special care. 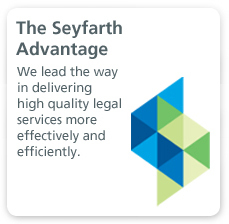 Seyfarth attorneys are fully prepared to support companies in ensuring compliance with applicable law and being prepared for audit and site visits activity. In preparation for possible site visits by the USCIS Fraud Detection and National Security Directorate (FDNS), our team can implement a self-audit protocol to ensure full compliance with H-1B, L-1, and all other employment-based benefits program requirements. We also prepare our clients for FDNS compliance initiatives in the EB-5 space, including Regional Center audits and project site visits. With experience spanning back to the creation of the Student Exchange Visitor Information System (SEVIS), we offer SEVIS/SEVP compliance services for high schools, colleges, universities, and English Language Schools (ESL), including ICE certification, re-designation and monitoring of international foreign student programs. We offer a unique expertise dealing with change of ownership, OPT/CPT and new program designation scenarios as well as defending schools facing SEVP termination. Seyfarth’s immigration compliance services extend to the full spectrum of business transactions and events that implicate immigration compliance. Whether talking about the M&A environment or immigrant investor (EB-5) funded projects, Seyfarth brings together a multi-disciplinary team ready fully address all compliance needs. We advise on options for due diligence, and risk-mitigation in transferring, scaling or shrinking workforces, and in the preservation of uninterrupted employment authorization and “pipeline” immigration benefits. We also help employers comply with PERM labor certification recruitment requirements and an employer’s “bona-fide termination” duties and return-transportation obligations owed to H-1B and E-3 in order to eliminate back-wage liabilities. We represent regional centers, developers, private equity funds, investors, broker-dealers and lenders in ensuring full compliance with all applicable immigration laws and policies, and in being prepared for possible site visits by the USCIS FDNS inspectors trained in the requirements of the Immigrant Investor Program. We counsel clients with extensive operations in states that have promulgated additional hiring and employment verification requirements regarding permissible corporate policy development and the implementation of compliance programs in response to the new state and municipal rules and requirements. Our team helps assist in navigating agency demands for documents and provide targeted guidance for site visits. We offer an impressive track record in negotiating with government agencies regarding liability and fine mitigation, and in settling or litigating government charges. 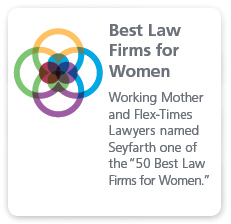 Should a matter result in federal or state court or administrative litigation, Seyfarth maintains a full complement of white collar defense lawyers, administrative tribunal litigators and immigration experts ready to assure our clients the best available outcome in such cases including Whistleblower, False Claims, and White-Collar Defense, Administrative Procedure Act, and Administrative Law Judge and Agency Appellate Proceedings.